Hello, everyone! This homepage provides historical information and pictures of Japanese medieval castles written in English, including 50,000 pictures of over 400 castles throughout Japan. My nickname is Ken. I am a Japanese live in Kanto region, and working for a company. One of my hobby is traveling, especially for visiting Japanese medieval castles. In Japan, there are many beautiful castles of different eras all over the nation. Of course I have only visited limited part of them, but I have been attracted by the beauty and history of each castle and taking pictures over 10 years. At first I thought to put them on view in Japanese blog, but there are already many pioneers who post tons of pictures. Fortunately (?) I am a bit accustomed to writing English through my job, thus I decided to post some of my pictures with small explanations in English (Using Google translation, you might be able to read articles in other languages than English). Three years has passed from commencement of this homepage. It is tough challenge for me to take detailed pictures and post articles beside my job, but I have been encouraged by accesses to my blog from various countries. Webmaster is originally not so planned people but this project processed quite well. I originally planed to cover major castles all over Japan in two years, and now I already introduced most part of major Japanese castles including 100 of 100 famous Japanese castles (see applicable page) and 100 of 100 more famous Japanese castle (see applicable page). Now I am working on improvement of pictures already posted, of course along with introduction of other castles. Of course I have original images with higher resolution of all posted photos. Themes treated in this blog is very niche area and I wonder if there is any demand for my blog, but I hope I can express the beauty of Japanese castles even just a little!. You have a great blog here Ken. I also live in central Japan and enjoy traveling and visiting castles but there aren't many descriptions in English. 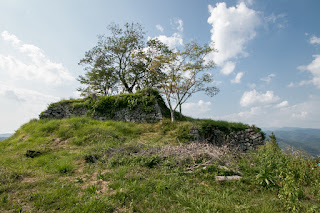 I wonder if you know anything about Mitake Castle or Akechi Castle in Kani city. Hello Keith. I am Ken and webmaster of this site. Thank you for visiting my sight, and I am glad to know person who has same interest. Concerning your inquiry, I make comment as far as I know. 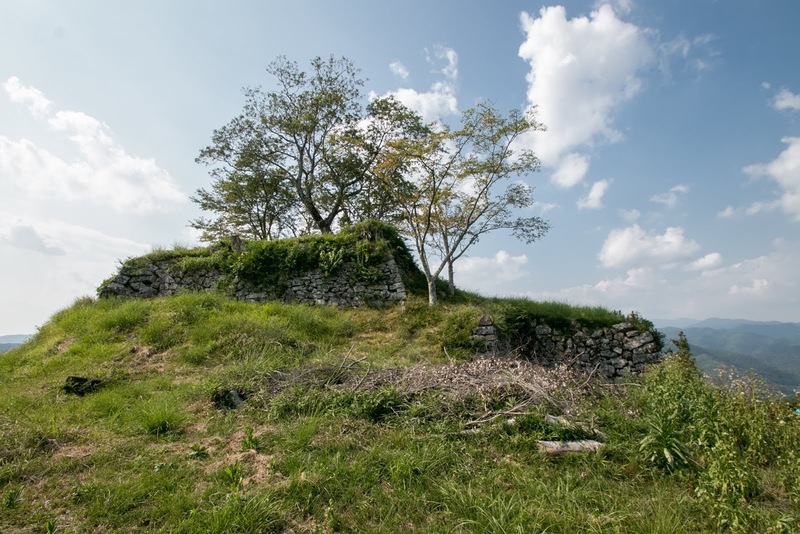 Akechi castle is located in about 4km south of Kaneyama castle and 1km south of Akechi station. (Below address indicates a temple and the castle is located on the hill just south of the temple). I know this caste but have not visited. It is said that this castle is the birthplace of Mitsuhide Akechi who was a regional commander of Nobunaga Oda and made accident of Honnoji (Another Akechi castle exists in Ena city, but castle of Kani city is more likely to be so). The castle was demolished when attacked by Saito clan, but shapes of each areas are so so remain I hear. Concerning Mitake castle I do not well, but based on the records on Web, it locates on the hill at the opposite side of Kani river from Mitake station. The site of the castle is now a park named "Mitake Joshi Koen". This park seems to have a good night view, but no ruin remains unfortunately. I hope my explanation is useful for you. I always visit these sites to see which castles i'll visit on my next trip to Japan. Now i've added your site to them. Your site is very informative and you have a lot of pictures. I am Ken, a webmaster of this site. I am glad to have your comment, as a person of same hobby. I'm so surprised by the fact that you had visited so many castles in foreign country, with limited means of transportation. I know above three great sites from the starting point of my site, and as a newcomer I tried hard to catch up predecessors. I hope my site would provide some useful information to visitors, same as above sites. Great site Ken... I am presently creating some pages on wikipedia for Japanese castles, and your site is very helpful. I travel to Japan every year, and generally look at a castle or two. Nice work! My names is Andrew Autry and I am a big Japanese castle fan, living in Japan. I have been to 96 castles in 4 years. I use your web site a lot to help me understand the history of castles before I visit them. Thank you so much for your hard work. Are you going to the お城EXPO 2017 in Yokohama this year? If you are I would like to meet you. Also, are you on Facebook? It would be easier to talk. Looking forward to your reply. I just sent you a message but I don't know if you got it. Are you on Facebook? If so I would like to connect. Ken, I am trying to contact you. Is there any other way to talk to you other than this web site. I am interested in your activity but unfortunately I am traveling over three days of this year's castle expo. I hope I can have another opportunity to talk with you.